Check out these low-calorie fast food options for the budget and health conscious. Fast food is convenient and inexpensive, which is why many people gravitate toward the drive-thru day after day. While fast food can quickly satisfy your hunger pangs, most menu items seem to be detrimental to your overall health — not to mention your waistline. The good news is that popular restaurants like McDonald's, Taco Bell and KFC offer at least a few healthy fast food options. The next time you find yourself hungry and in a rush, try these inexpensive, healthy foods. Burger King has one of the best fast food value menus in America. And it's home to the famous flame-grilled Whopper. 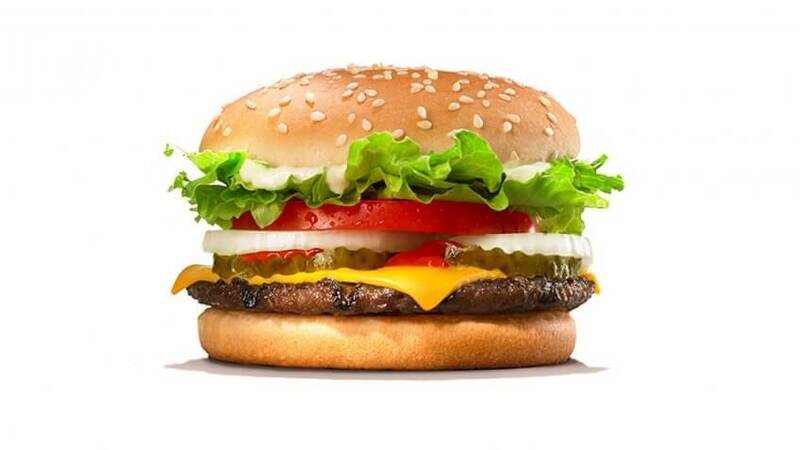 Topped with tomatoes, lettuce, mayonnaise, ketchup, pickles and white onions, the Whopper is a treat for the taste buds. But at 630 calories and 49 grams of carbs, the 1/4 pound beef burger isn't ideal for health-conscious eaters. As its name suggests, the Whopper Jr. is a smaller version of the Whopper. Still packed with the same delicious flavor, this burger contains 310 calories and 27 grams of carbs, less than half of the original. Order your Whopper Jr. without mayo or ketchup, and the calorie count drops to 230. Taco Bell's Fresco menu is packed with healthy fast food options all under 350 calories and 10 grams of fat. All Fresco menu items are served with fresh pico de gallo in place of cheese, creamy sauces, sour cream or guacamole. 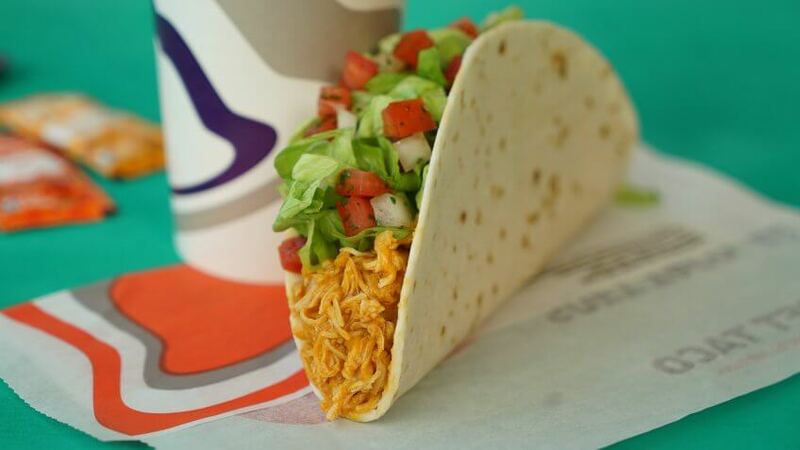 The Fresco Soft Taco - Shredded Chicken has just 140 calories, 3.5 grams of fat and 16 grams of carbs. It also packs 10 grams of protein. With such a low calorie count, you could order two tacos and stay well under 400 calories. Other choices from the Fresco menu include the Fresco Bean Burrito (350 calories), Fresco Burrito Supreme - Steak (340 calories) and Fresco Soft Taco - Steak (140). Breakfast might be the most important meal of the day, but when you're rushing to get dressed and out the door in the mornings, you don't always have time to sit down at the dining table. 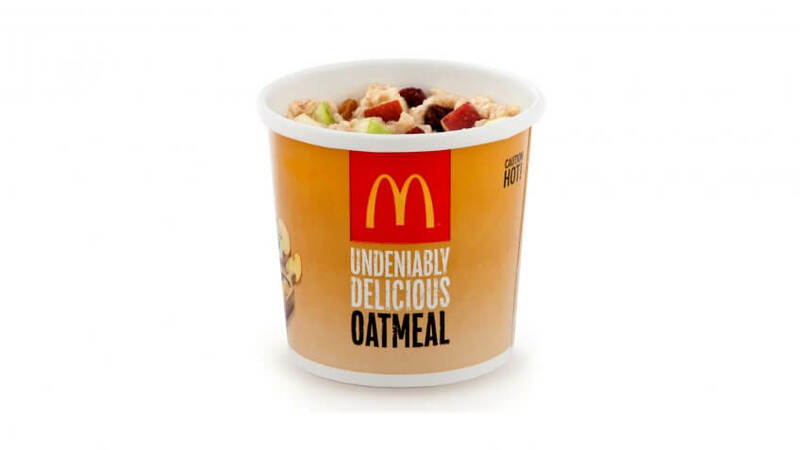 If you're looking for something quick to get your day off to a good start, head to McDonald's and pick up a Fruit and Maple Oatmeal. At 310 calories, this tasty oatmeal dish is a mixture of whole grain oats blended with a light cream and brown sugar and topped with diced apples and a blend of cranberries and raisins. Opt for an oatmeal without brown sugar, and you'll reduce the calorie count to 260. This dish offers 6 grams of protein and is low in sodium. If you prefer to eat your breakfast with your hands rather than a spoon, McDonald's has another healthy fast food offering you can enjoy. 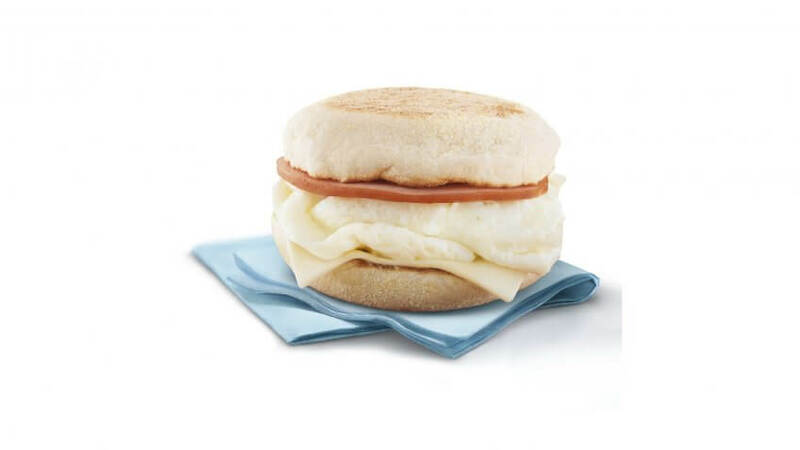 The Egg White Delight McMuffin comes with egg whites, extra lean Canadian bacon and white cheddar cheese. At only 260 calories, you can pair the sandwich with a coffee from Starbucks or your favorite local cafe. In addition to the low calorie count, the sandwich has just 8 grams of fat and 29 grams of carbs. With 16 grams, this McMuffin is high in protein; however, it's also high in sodium. The Egg White Delight contains 750 milligrams of sodium, which is nearly one-third of the 2,300 milligrams maximum recommended per day by the Dietary Guidelines for Americans. 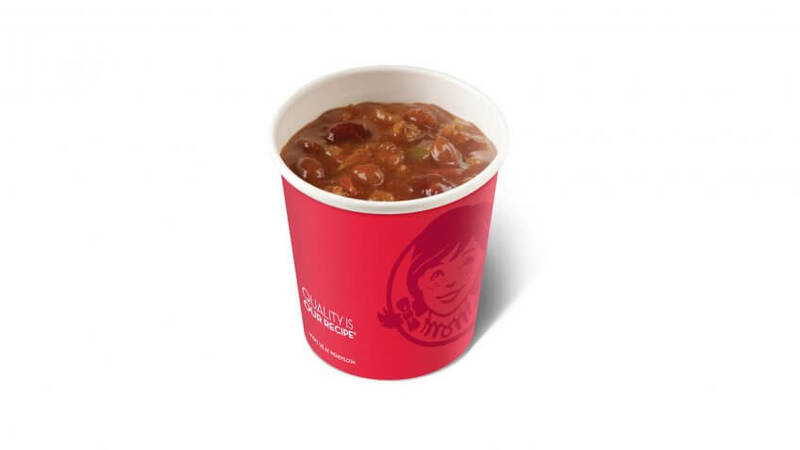 If you're looking for a hearty, filling meal, Wendy's Rich & Meaty Chili might be your perfect selection. This dish is made with ground beef, chili beans, an assortment of vegetables and a variety of spices and natural flavors. The large chili has 250 calories, 5 grams of fiber, 23 grams of protein and 600 milligrams of potassium. The small Rich & Meaty Chili is a great option for when you're feeling less hungry. It has 170 calories, 4 grams of fiber, 15 grams of protein and 400 milligrams of potassium. Chick-fil-A's Grilled Chicken Sandwich is simple but full of flavor. 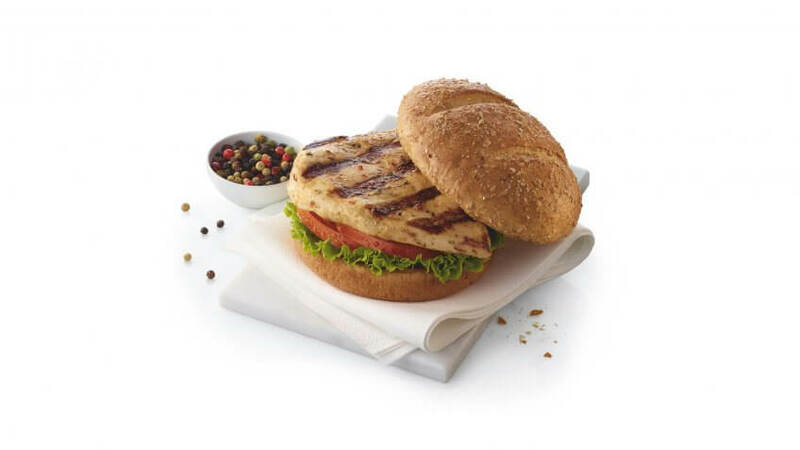 The sandwich is served on a toasted multigrain bun and contains a grilled boneless chicken breast marinated with a blend of seasonings, lettuce and tomato. This sandwich is 310 calories and contains 6 grams of fat, 36 grams of carbs and 29 grams of protein. To keep your total meal under 400 calories, skip the fries and choose a side of fresh fruit for 45 calories or a side salad for 80 calories. KFC is known for its hot and delicious Original Recipe Chicken. Today, the restaurant also sells Extra Crispy chicken, Kentucky Grilled Chicken, Nashville Hot Chicken and more. KFC is also famous for the Double Down, a chicken sandwich special comprised of two fried chicken breast fillets, bacon, two slices of cheese and secret sauce that contains more than 1,200 calories. 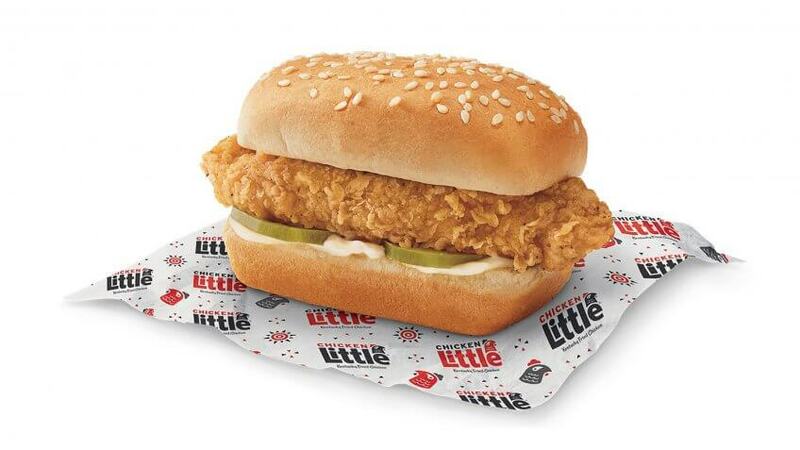 If you're in the mood for chicken — but not for the exorbitant amount of calories that come with the Double Down — give KFC's Chicken Littles sandwich a try. One sandwich contains just 310 calories and is made up of a crispy chicken tender, pickles and mayo on a sesame-seed bun. It has 23 grams of carbs, 18 grams of fat and 590 milligrams of sodium. Beef, chicken, fish: No matter what you're in the mood for, Arby's has something for you. To keep your calorie intake to a minimum, order one of the restaurant's seven slider sandwich offerings. 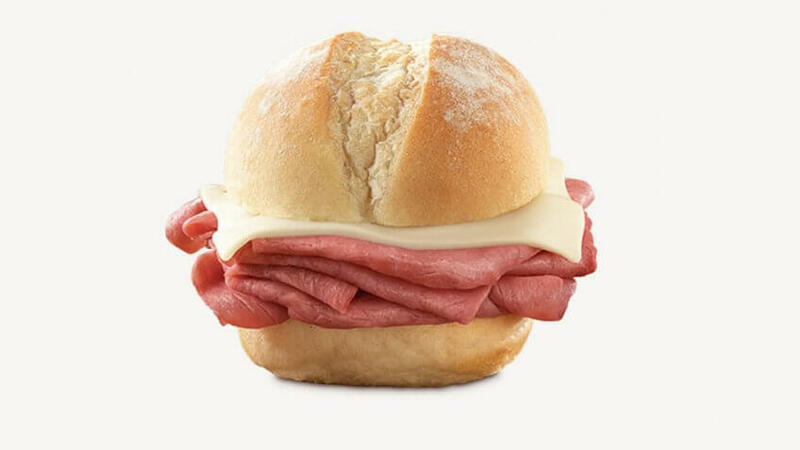 All of Arby's Sliders are less than 300 calories per sandwich, and each features meat on a mini bun. Slider options include the Buffalo Chicken Slider, Chicken 'n Cheese Slider, Corned Beef 'n Cheese Slider, Ham 'n Cheese Slider, Jalapeño Roast Beef Slider, Roast Beef 'n Cheese Slider and Turkey 'n Cheese Slider. All sliders are topped with a slice of cheese — except for the Buffalo Chicken Slider, which is topped with Parmesan peppercorn ranch. Grab one today and you'll consume between 12 grams and 15 grams of protein and 21 grams and 31 grams of carbs. Some people think fast food is an absolute no-no, but it is possible to enjoy some fast food menu items while maintaining a healthy lifestyle. Next time you find yourself hitting up your favorite fast food spot, take a closer look at the nutritional facts of the items you're thinking of ordering. Choose menu items with fewer calories, carbohydrates, fat and sodium, and you'll be able to enjoy your meal without feeling guilty. Prices were compiled by calling fast food restaurants in the Chesapeake, Va., area. Prices may vary by location or franchise owner. Say 'cheers' to National Beer Day with a visit to these unique taprooms.